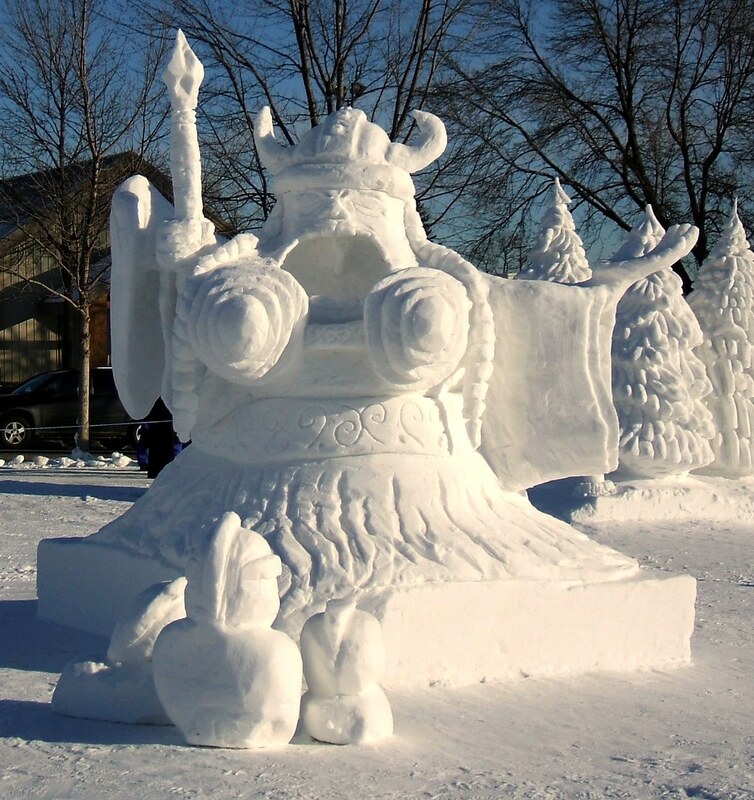 Winter in St. Paul means Winter Carnival time and with a cold winter means more cool outdoor displays to gawk at. This year's collection of snow sculptures is particularly nice due to the fact that we have the two necessary ingredients: snow and cold temperatures. This one seems to be a Viking opera, or not. This one looks like Chris Matthews. My first thought was that it looked a bit like one checkout employee I saw at Wal-Mart a few weeks ago.